(CNN) - Stevante Clark says his 22-year-old brother was a devoted father who had recently changed his life, and he wasn't a thief. Now his brother is the latest name on a list of black men killed by police: Michael Brown, Tamir Rice, Eric Garner and Walter Scott, among others. "I know there could have been another way," Clark told CNN Sacramento affiliate KOVR. "He didn't have to die." Stephon Clark was shot and killed Sunday night in his grandmother's Sacramento backyard by officers who believed he was pointing a gun at them, according to police. No weapon was found, only a cell phone. Officers fired 20 shots, hitting Clark multiple times, police told KOVR. Two officers -- one of them black -- have been placed on paid administrative leave amid a use of force investigation in a case that sparked protests on the streets of Sacramento and the arena where an NBA game was played Thursday night. "He didn't deserve it," Stevante Clark said of his brother. 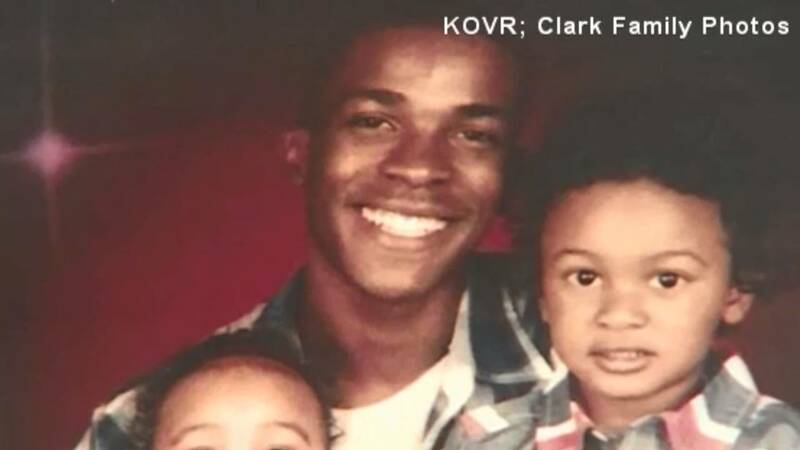 Stephon Clark is remembered as outgoing, a father of two young sons who was trying to turn his life around despite previous trouble with the law, his brother said. "He was arrested before, but he's been different lately," Stevante Clark told CNN sister network HLN. "He really changed his life. He was a people person who everybody wanted to be around. We came from underprivileged, broken homes, but he didn't care about nothing else but his kids." Stephon Clark liked football, sneakers and video games, the Sacramento Bee reported. His birth certificate identified him as Stephen but, Stevante Clark said, Stephon changed it to be different from his father, according to the newspaper. Stephon's brother said he was fashionable and enjoyed manicures and pedicures. "He was like Ric Flair," Stevante Clark said, referring to the stylish wrestler. "He was an entrepreneur. He would make money selling shoes." The shooting happened on Sunday after 9 p.m., when Sacramento officers responded to a report that a man had broken car windows and was hiding in a backyard. They pursued a man who hopped a fence into the grandmother's property. The shooting was captured by the two officers' body cameras and a police helicopter; that footage was released on Wednesday in an effort to be transparent. The body camera videos show the brief encounter between police and Clark, lasting less than a minute, from the moment one of the officers yelled: "Hey, show me your hands. Stop. Stop." Police said the officers entered the front yard and saw the suspect along the side of the home. The man "turned and advanced toward the officers while holding an object" extended in front of him, according to the police account. "Show me your hands!" one of the officers yelled. "Gun, gun, gun." Seconds later, officers opened fire as they took cover near a wall. As more police arrived at the scene, someone is heard asking, "What did he have on him?" An officer responded "... something in his hands. It looked like a gun from our perspective." Clark's family has disputed the police account. His relatives have hired civil rights attorney Ben Crump, who represented the families of Trayvon Martin, Michael Brown and others. "The shooting death of Stephon Clark is an all-too-common tragedy," Crump said in a statement. "It is yet another troubling example of a young, unarmed black man being shot by police under highly questionable circumstances." Clark's grandmother, Sequita Thompson, said she was inside the house when the shots were fired, and saw her grandson with an iPhone. Police said they found at least three vehicles with damage they believe Clark caused, as well as an adjacent residence with a shattered sliding glass door. Deputies in the helicopter witnessed him shatter the door, police said. Stevante Clark told HLN his brother "wasn't a thief." "I just want to make sure his kids go to school, my mom is good, and he gets buried in a way where we don't have to worry -- the nicest funeral," he said. The Rev. Al Sharpton has pledged his support for Clark's family and said he would be in California to help them fight for justice, according to a statement from his organization. A GoFundMe page set up to help the family with funeral expenses has raised nearly $62,000.